WWF Tanzania Country Office (WWF TCO) is implementing its Country Strategic Plan (CSP) for 2015 to 2020. The goal of the strategic plan is to ensure that by 2030, Tanzania’s outstanding and globally significant natural wealth and biodiversity are sustained and support equitable and gender-sensitive local livelihoods and national economic development for present and future generations. The Ruvuma Landscape as defined under the strategy is a focal landscape that encompasses a socio-ecological system that includes Mikumi and Udzungwa Mountains national parks, the Selous Game Reserve, a number of Game Controlled Areas and at least 10 Wildlife Management Areas straddling the Ruvuma River and the border areas of Mozambique. Programmatically the Ruvuma Landscape entails working with a variety of stakeholders, landowners and key partners including local communities, national and local Government Agencies, NGOs and the private sector on both sides of the border to create a cohesive transboundary area conserving the connectivity of the miombo ecosystem and its sustained provision of valuable goods and services. This also includes supporting the implementation of community-based natural resources related activities within Selous Game Reserve, the Wildlife Management Areas, and the Selous-Niassa Wildlife Corridor to secure them for the future generation. Under the CSP 2015-2020, the Ruvuma Landscape Programme goal is to ensure “By 2020 the ecological integrity of Selous-Ruvuma landscape is maintained and contributing to improved livelihoods; with populations of selected wildlife species, and coverage and condition of designated forests, at least above 2015 levels”. While under the Elephant Programme the goal is “By 2020, the elephant population in Selous-Ruvuma landscape is increased by 7.5% of 2015 levels”. The major threats to be addressed include elephant poaching and illegal trade and utilization of wildlife resources, wildlife crime, the degradation, fragmentation and encroachment of wildlife and forest habitats, and incidence of human-wildlife conflicts, lack of and inadequate benefits to local communities within the landscape among other threats. The main role of the position is to provide technical support to all community based natural resources management (CBNRM) through the wildlife management area (WMA) approach and also be the focal point for engagement with stakeholders, implementing partners and government agencies in promoting participation with stakeholders in the implementation of WMA monitoring tools. Being the Wildlife Focal Point, the position will also entail providing technical assistance in the implementation of the Wildlife Practice Strategy nationally and represent TCO in all Wildlife Practices activities and programs. Performs other duties as directed by Conservation Manager and Country Director. Experience in project/programme planning, management, and reporting. Clearly demonstrated experience in field capabilities and leadership of field staff and willingness to participate in field activities, surveys and travel to remote areas within the landscape. Ability to meet deadlines and accuracy and attention to detail. 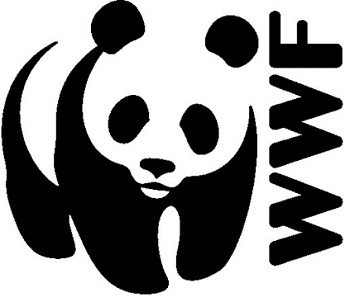 Adheres to WWF’s values, which are: Passionate & Optimistic, Challenging & Inspiring, Credible & Accountable, and Persevering & Delivering Results. Internal - Works and liaises closely with the WWF TCO Programme Coordinators and other staff in WWF offices outside the region.